Divine and comedy are common, even overused, words when defining the music of one Edward Neil Anthony Hannon, but they still apply to the troubadour, who continues to defy his (now forty-six) years with exuberant energy rarely matched by his musical brethren in this part of the world. One that fits his music and the party atmospherics in a crowded festival marquee in Belfast’s Cathedral Quarter. There appears to be a Divine Comedian(can we call Hannon’s fans that? ), or Father Ted fan everywhere you look in the tent – Hannon did pen the music for the timeless comedy, after all – and through that, one embraces being part of a niche audience almost in thrall to a cult figure, in that you are never alone. I say almost, of course, because objectivity is required in judging even your favourite artists, and I wasn’t alone in thinking Foreverland was below Hannon’s usual high standards. True fans, I believe, aren’t afraid to demand par, and there is a fear that Hannon will get swamped in tweeness like he did on his most recent record. Thankfully very little of that shows in a well-balanced set that produces smiles and even slight awe all around, not just from Hannon and the audience but also support act Lisa O’Neill. Being new to her music I expect just another girl and her guitar act, but what I and we get from the Co Cavan woman leaves everyone startled. A striking, diminutive figure in stripy T-shirt and overalls, she possesses powerful pipes of a folk, bluegrass, country and trad kind, with a harsh but distinctive twang. Imagine if Father Ted’s John and Mary had an offspring and this is pretty much what you’d get, with all the arguing replaced by oblique songs and stories about no trains in a town and sheep eating magic mushrooms. Personally I think her persona is completely bonkers – and deserving of a cult following. Better times surely beckon. Building on this eccentricity, the main man arrives in a Napoleon costume, backed by a powerful band, and launches into the thunderous Sweden, a popular and enduring reminder of what we all like about Hannon and the country itself. While it’s apparent that he can’t quite hit the notes like he used to – Bad Ambassador suffers because of this – it’s hard not to immediately lose oneself in the rock and whimsy. The decision to play the frankly middling How Can You Leave Me On My Own early allows us to really get into the groove and acknowledge how strong pop instruments or backing vocals can enhance a tune. Funny Peculiar gets a similar lift when Lisa O’Neill returns to duet with Hannon – the result is undeniably impressive. 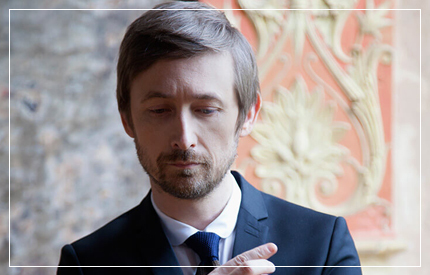 The sophisticated themes and emotional depth that we have come to expect from The Divine Comedy are naturally there. For those, The Pact (a song about “love or international diplomacy”) is fine, To The Rescue is exquisite, The Certainty Of Chance is epic, and Our Mutual Friend is staggering. But fun is the greatest order of the evening for Hannon, including, but not limited to, intermittent (but good natured) swearing, costume changes, posing and singing among his audience. The passion and invention is so constant that there’s no real dud among the twenty-five performed songs. There’s even a poignant bonding moment, as Father Ted theme Songs Of Love is dedicated to then soon-to-be-married couple Simon and Jill. That Hannon ignores repeated cries to play My Lovely Horse is irrelevant – by the time he plays National Express (well, you’ve got to include the hits somewhere) the tent is alive with stomps and sweat and the crowd is in a state of entrancement. Long may Hannon’s (simply divine?) shows continue to have this effect.